Mailer burst onto the literary scene with his 1948 World War II novel The Naked and the Dead, for which he was hailed as “the next” Ernest Hemingway. 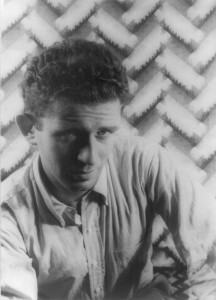 Mailer produced a series of distinguished (if controversial) works of fiction following this debut, but his most important contribution to American literature and culture was his unique synthesis of journalism and fiction called the “New Journalism.” This journalistic/literary form used the aesthetic techniques of fiction to report on key events and personalities. His 1968 The Armies of the Night, which grew out of the Vietnam-era antiwar movement, was a breakthrough in this uniquely American genre.